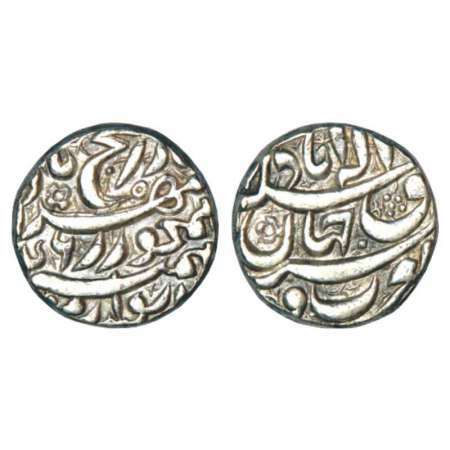 Babur (1526-1530 AD), silver shahrukhi of mintless and dateless type, Rahman 80-01. 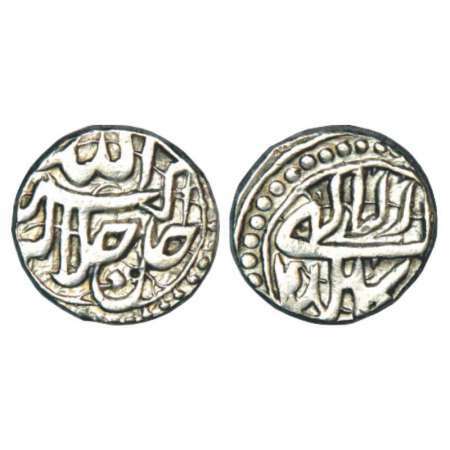 Obv: Kalima within circle, names of four Caliphs and their titles around. 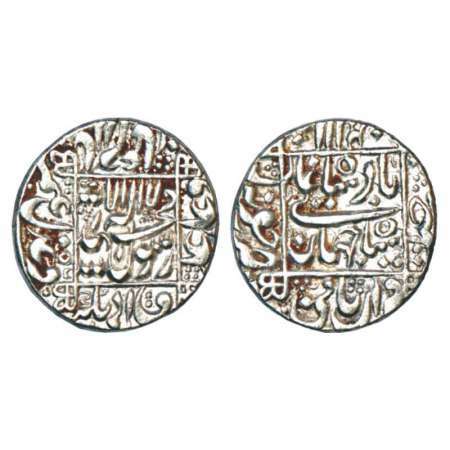 Rev: Name of the ruler Zahir ud-din Muhammad Badhshah Ghazi in circle, other legends in border. 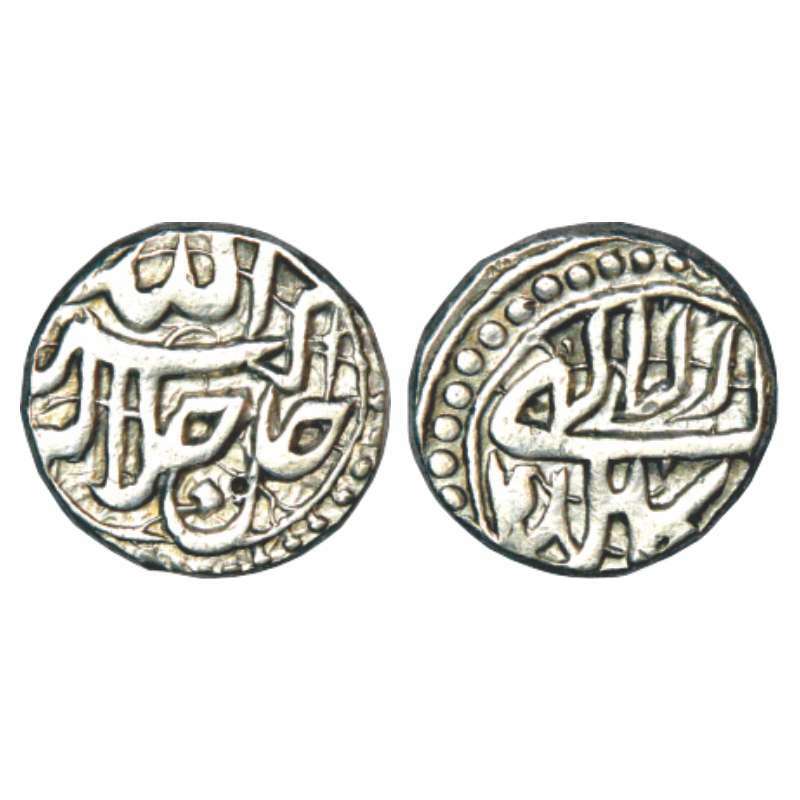 Very fine and bold clear type, Rare. 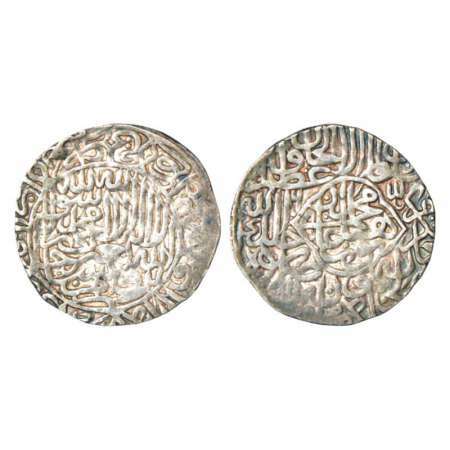 Humayun (1st reign 1530-1540 AD), silver shahrukhi, Agra mint, (9)45, 4.77g. 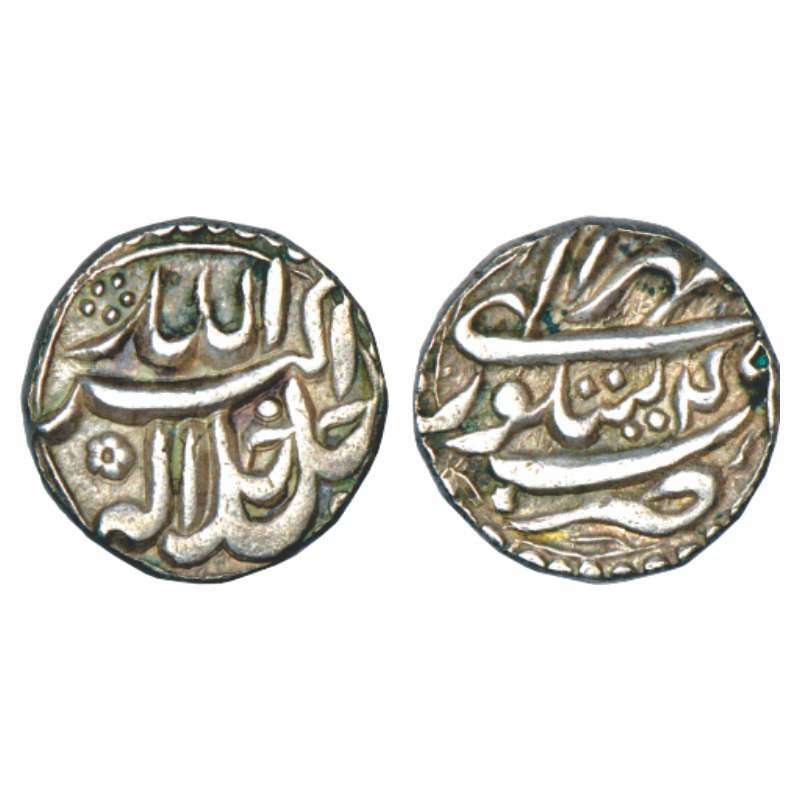 Obv: Shahada and invocation Yarzaqu Allah Man Yashao ba-Ghayr Hisab in circle; names of Rashidoons and their titles around. 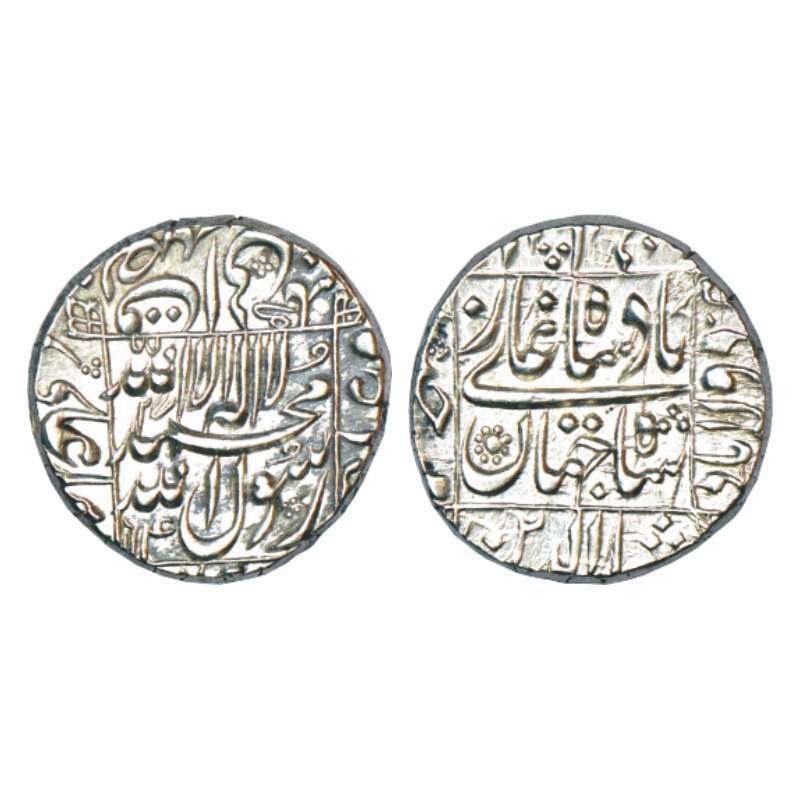 Rev: Muhammad Humayun Ghazi in a Mihrab-shaped Cartouche, other titles and mint-name in margin. 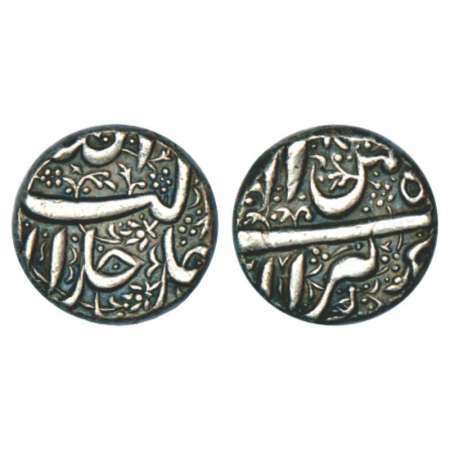 Humayun (1st reign 1530-1540 AD), silver shahrukhi, Agra mint, (9)46, 4.67g. 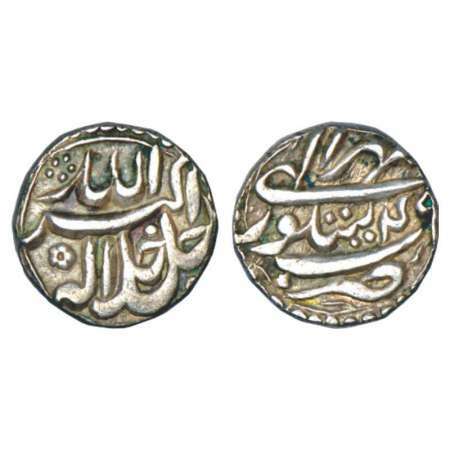 Obv: Shahada and invocation Yarzaqu Allah Man Yashao ba-Ghayr Hisab in circle; names of Rashidoons and their titles around. 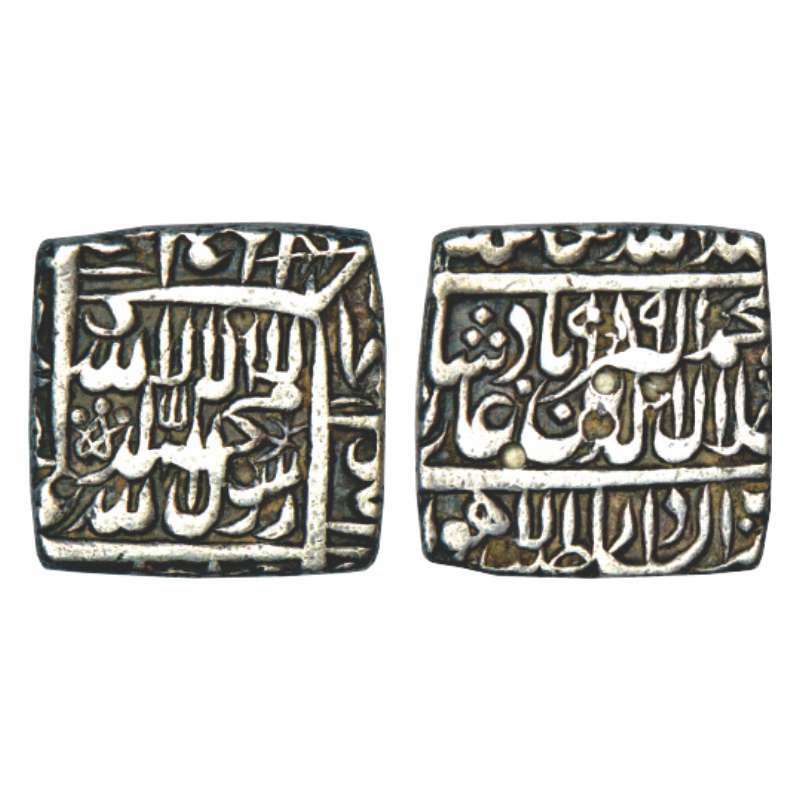 Rev: Muhammad Humayun Ghazi in a Mihrab-shaped Cartouche, other titles and mint-name in margin. 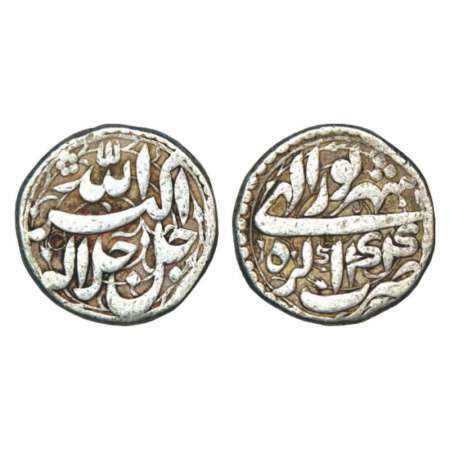 Humayun (1530-1556 AD), silver shahrukhi, Lahore mint, date not visible, indistinct countermark on obverse, 4.59g. 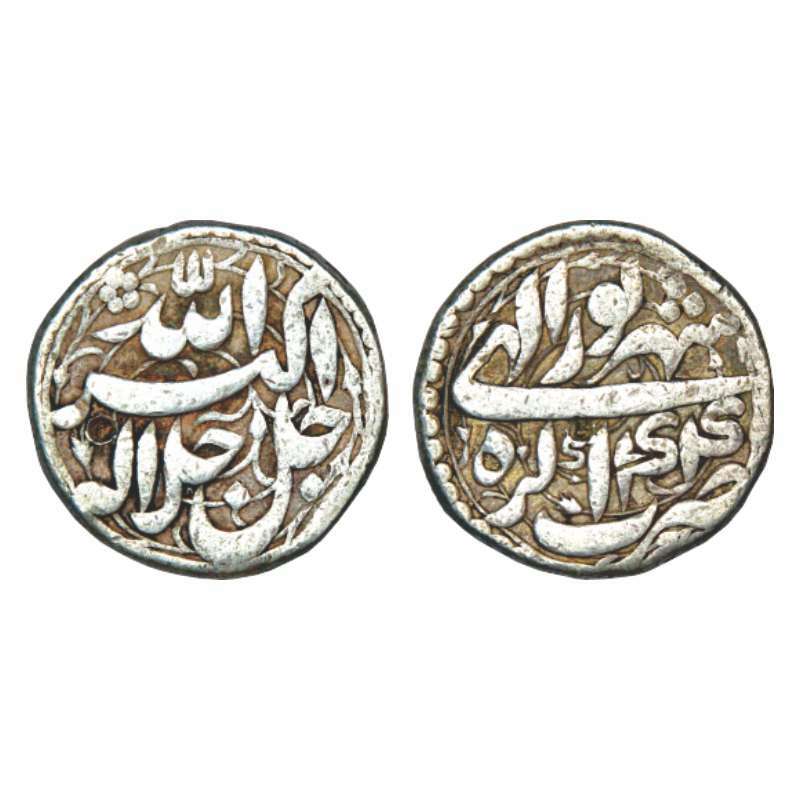 Obv: Kalima in a roundel with names and titles of the four Caliphs around. 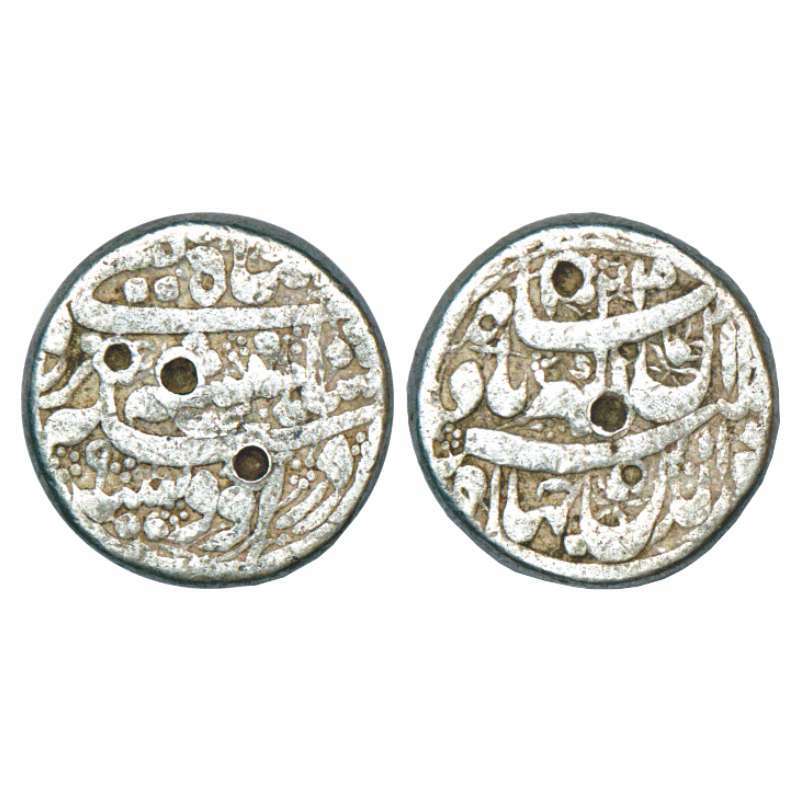 Rev: Muhammad Humayun Badshah Ghazi inscribed in Farsi within a Mihrabi cartouche, other titles in the margins. 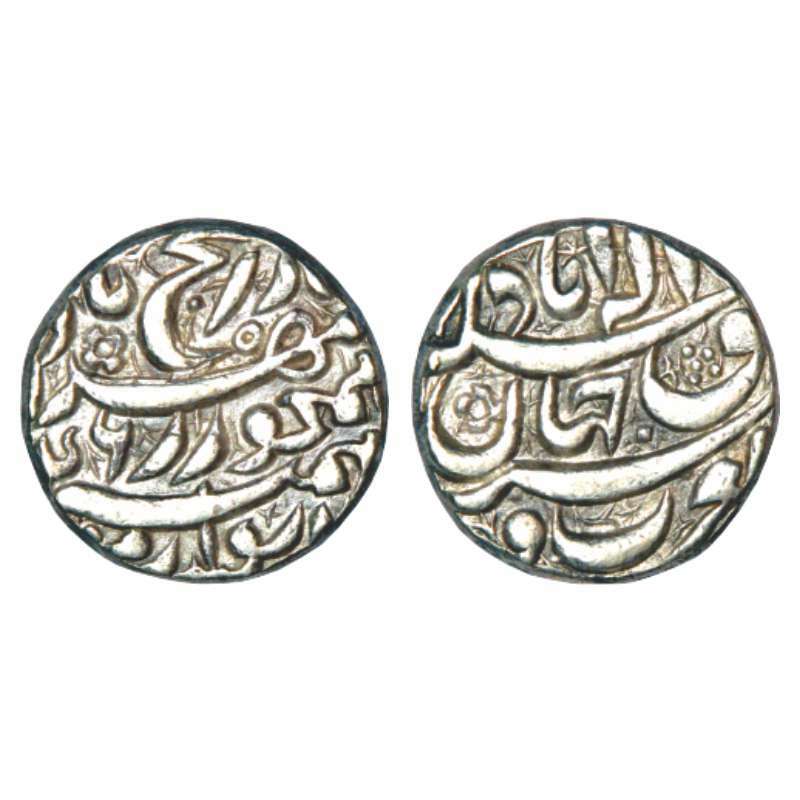 Mint-name visible at 8 o'clock. 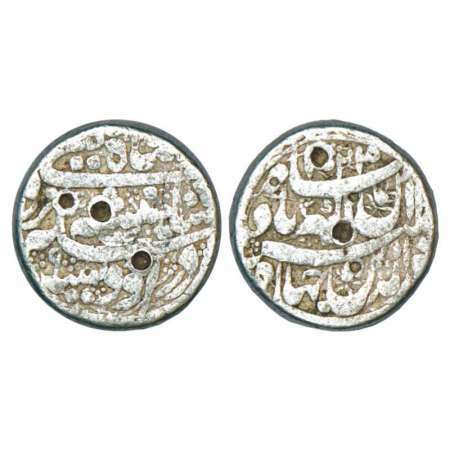 Very fine, with traces of mounting, Rare. Akbar (1556-1605 AD), silver rupee, Agra mint, Shahrewar 44, KM 93.1. 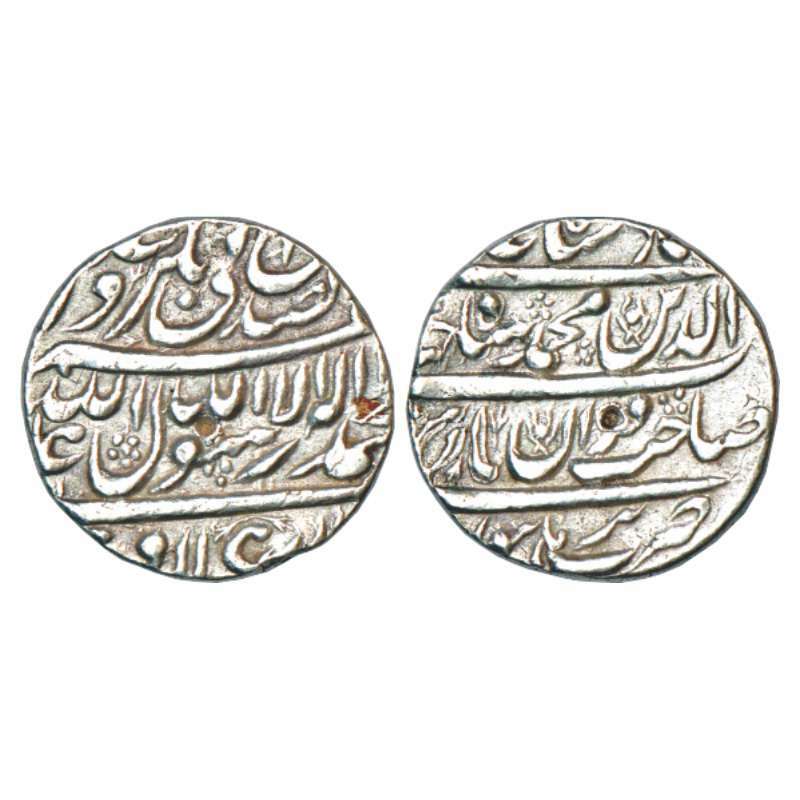 Akbar (1556-1605 AD), silver rupee, Allahabad mint, rebellion issue of Jahangir, KM 97.1. 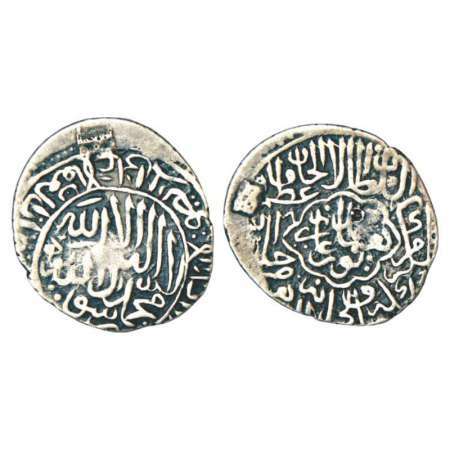 Akbar (1556-1605 AD), silver rupee, Berar mint, Bahman 5x, a bird below mint name, decorative field, KM 93.6. Akbar (1556-1605 AD), silver ½ rupee, 5.69g, Kabul mint, Azar 48, KM 66.2. 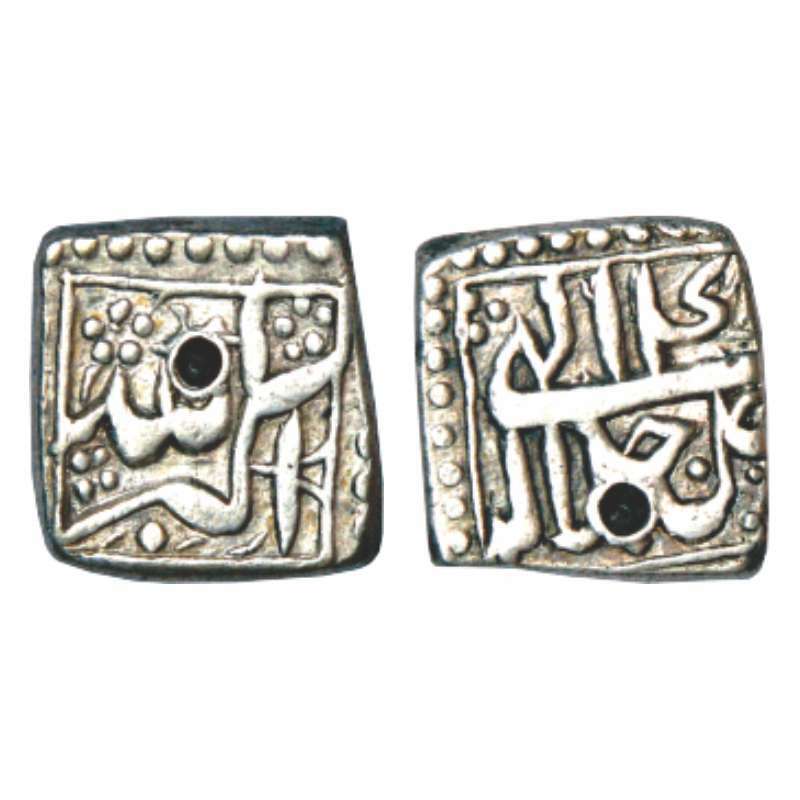 Akbar (1556-1605 AD), silver square rupee, Dar us-Sultanat Lahore mint, AH 989, KM 82.5. Akbar (1556-1605 AD), silver ½ rupee, Lahore mint, Aban 45, KM 66.3. 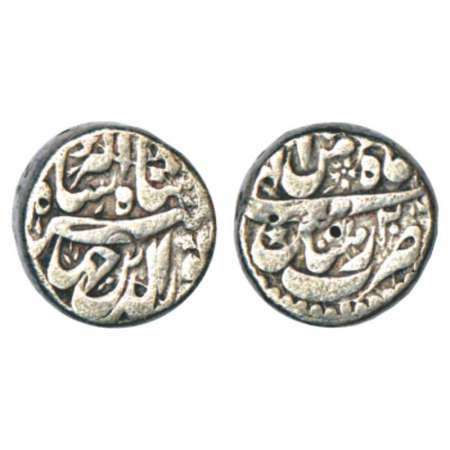 Akbar (1556-1605 AD), silver ¼ rupee, 2.64g. 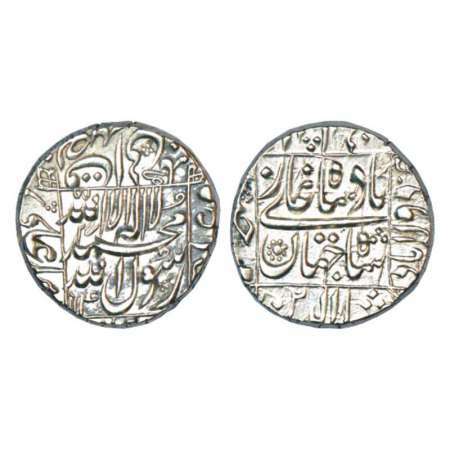 Lahore mint, Di 46, KM 58.2. 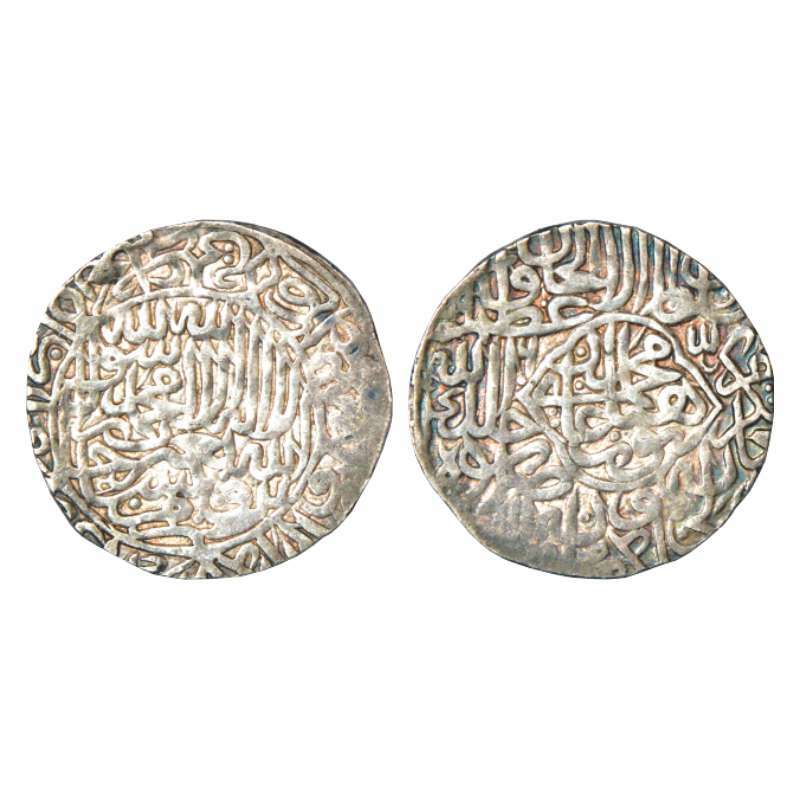 Akbar (1556-1605 AD), silver rupee, Sitpur mint, Mihr 49, KM 93.18. Akbar (1556-1605 AD), silver square rupee, Urdu Zafar Qarin mint, date AIF(1000), KM 82.8. 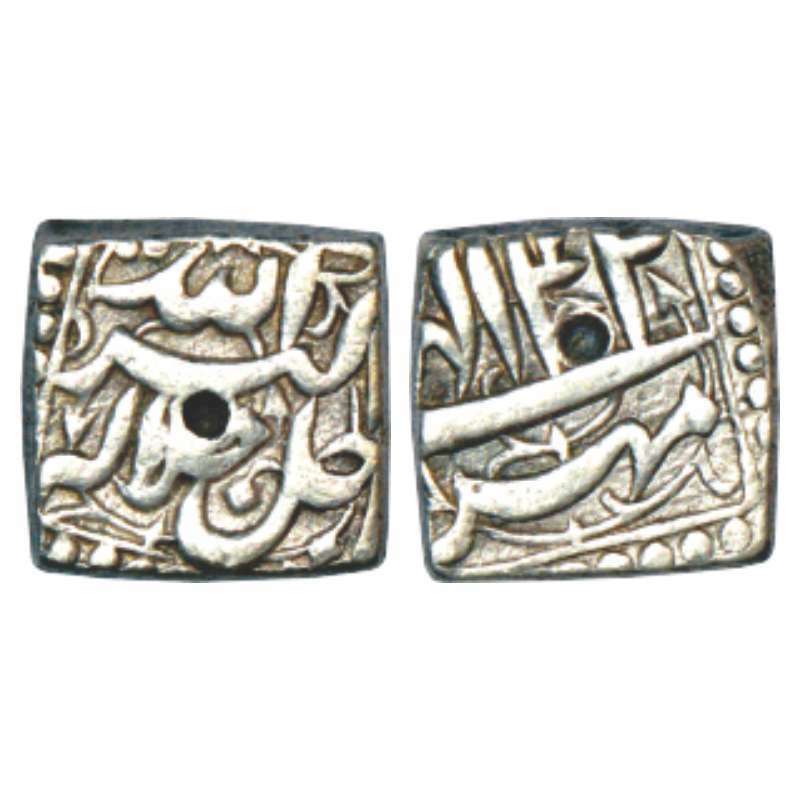 Partly dotted border on both sides. 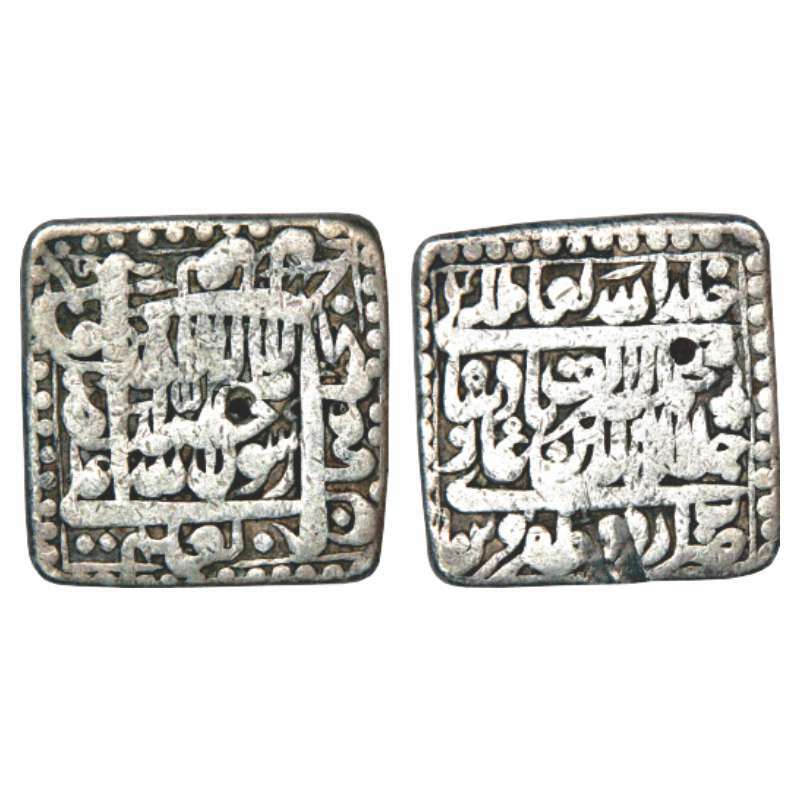 Akbar (1556-1605 AD), silver square ½ rupee, 5.69g, 'mintless' type, Mihr 42, KM 63.1. 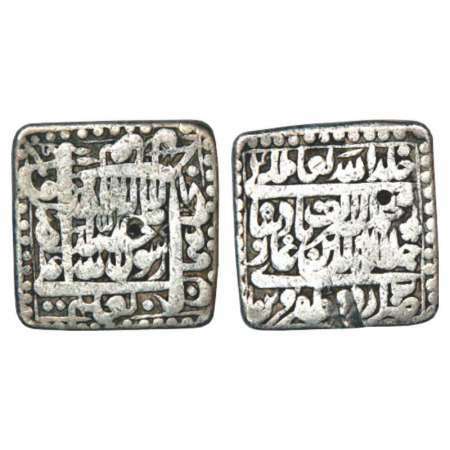 Akbar (1556-1605 AD), silver square ½ rupee, 5.58g, 'mintless' type, Ilahi 4x, KM 64.1. 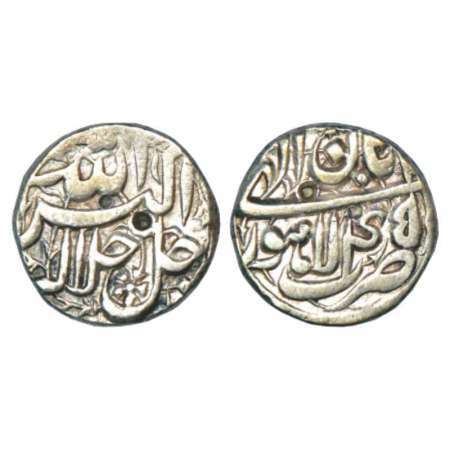 Jahangir (1605-1627 AD), silver rupee, Burhanpur mint, AH 1014, 11.39g. 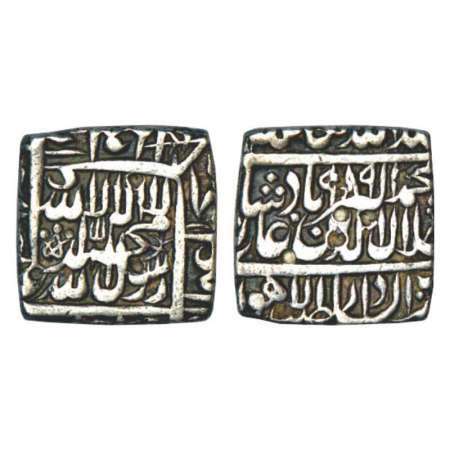 Sakht Nurani couplet, KM 152.2. 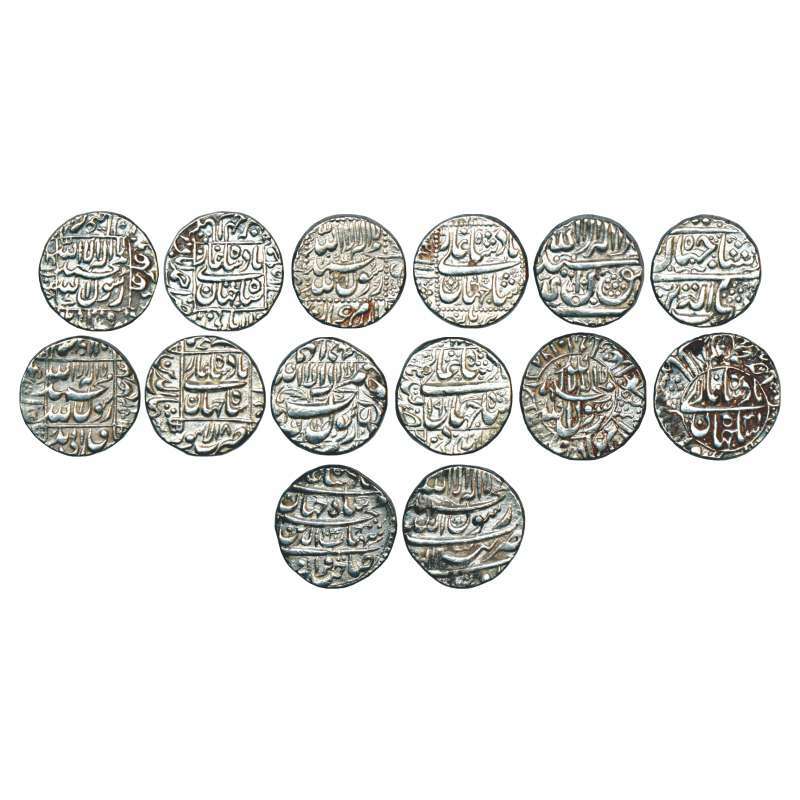 All coins of the emperor are 20% heavy in the first regnal year. 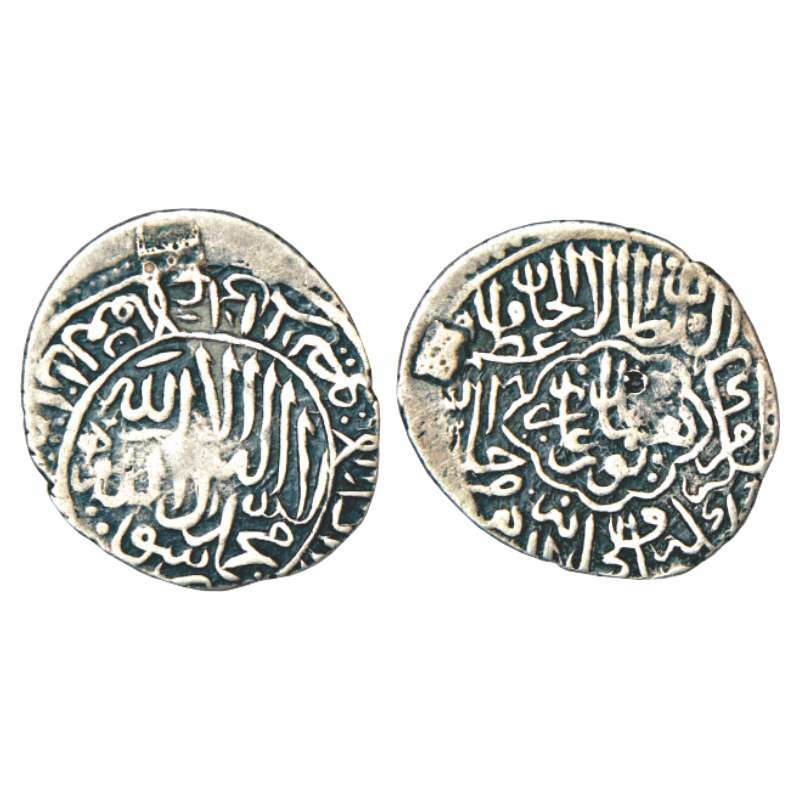 This is an unusual rare type where the orders of the emperor were not followed by oversight. 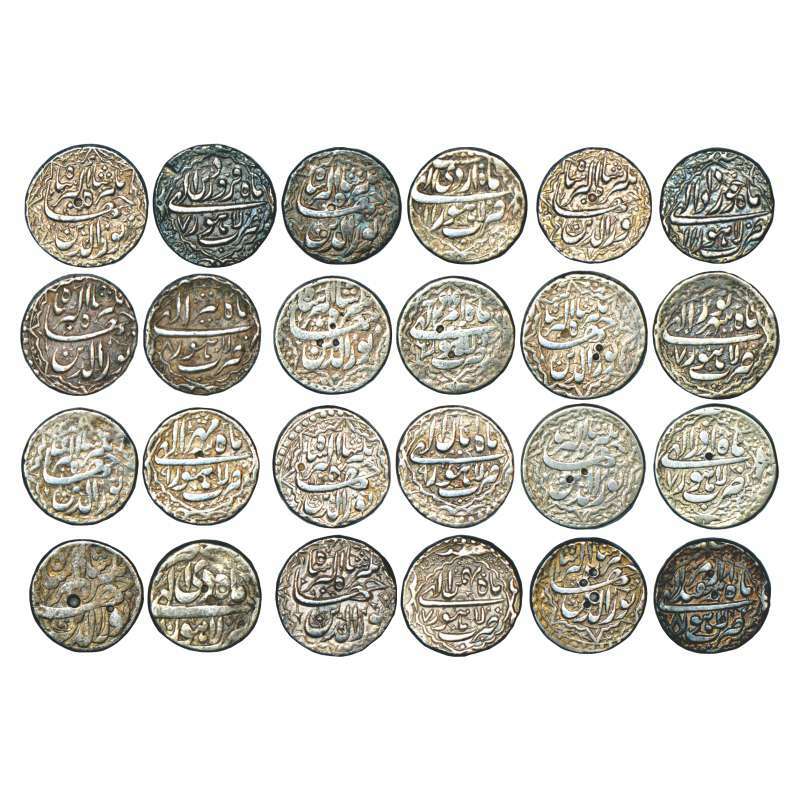 Very fine & better, Rare as a set of 12 months. 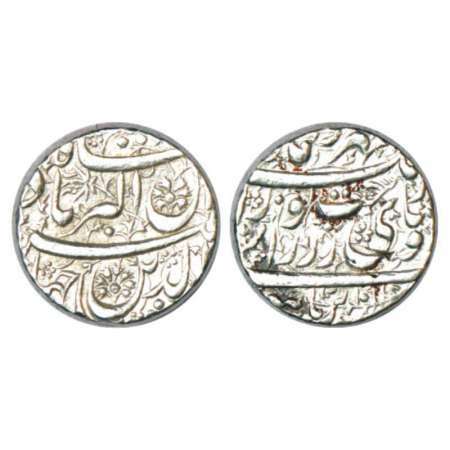 Jahangir (1605-1627 AD), silver rupee, Rohtas mint, Bahman 20, KM 145.14. 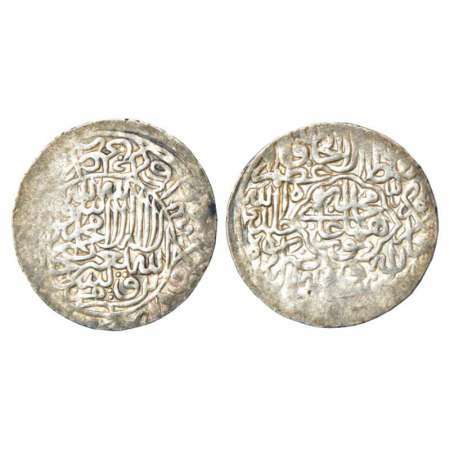 Jahangir (1605-1627AD), silver rupee, Udisa (Orissa) mint, AH1024/RY9, 11.14g. 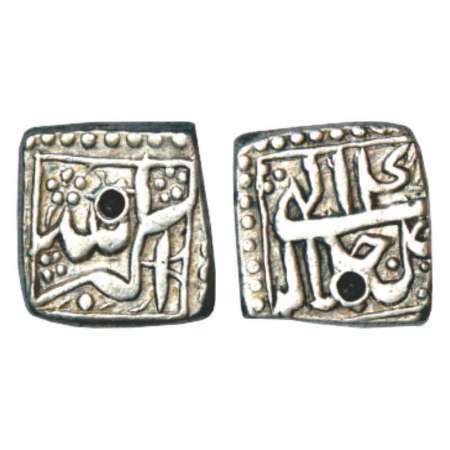 Obv: Hemistich of couplet Dar Udisa Sikka zad Shahanshah Geeti Panah. 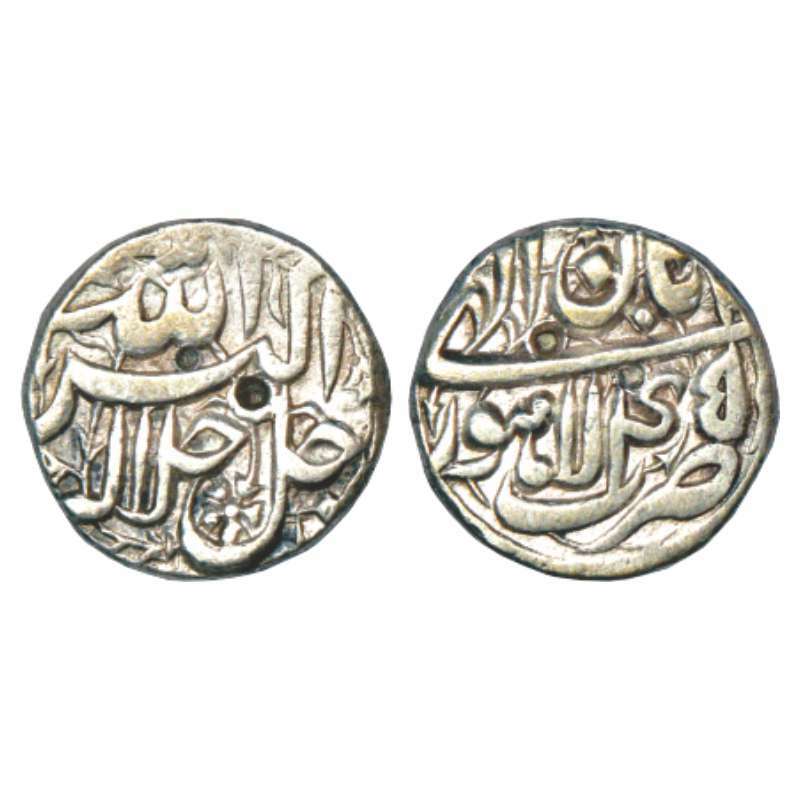 Rev: Hemistich Shah Noor al-Din Jahangir ibn Akbar Badshah. 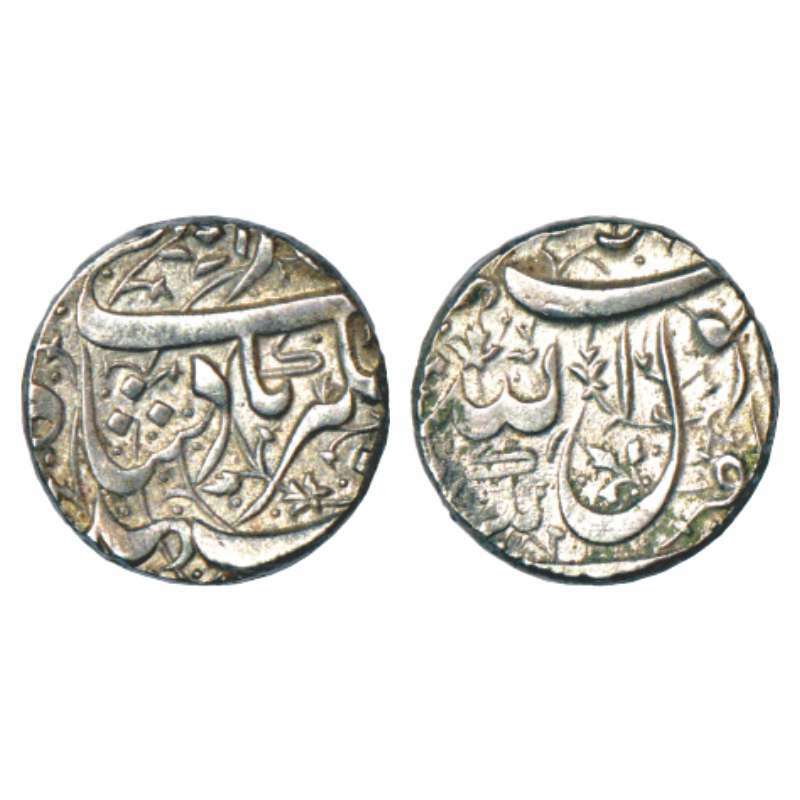 The mint Udisa is probably the rarest of mints for silver coins of Jahangir. Although the province of Orissa had been assimilated in the Mughal Empire towards the end of Akbar's reign, it had remained volatile and prone to rebellions, mainly by the Gajapati rulers of Puri. 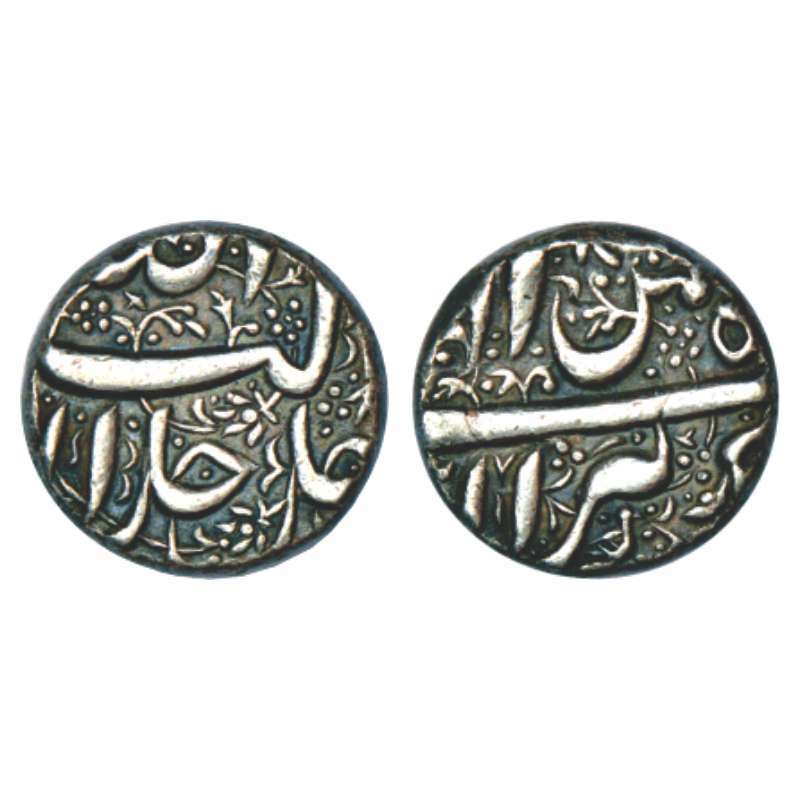 During Jahangir's reign, three campaigns were launched to supress the Gajapatis. 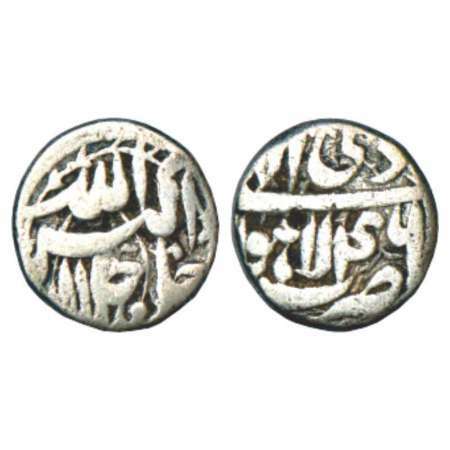 This coin is issued during the second campaign, which was commanded by a Hindu general, Raja Kalyan Das. The campaign ended in the repulsion of the Mughal troops by the Gajapatis. A final assault was launched six years later under the command of Asaf Khan, the brother of Noor Jahan, to completely quell the rebellious Gajapatis. 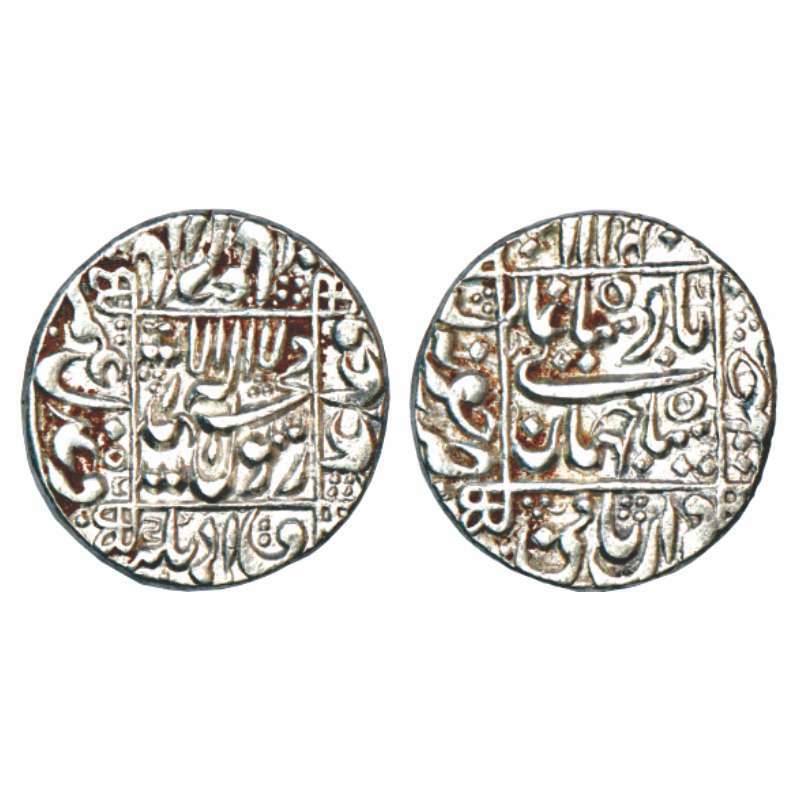 Jahangir (1605-1627 AD), silver rupee, Zafarnagar mint, KM 141.7, decorative fields on both sides. 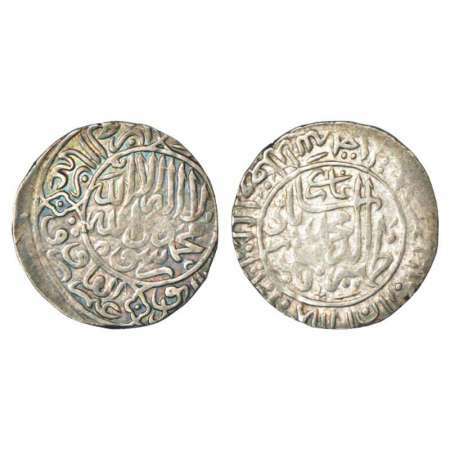 Very fine & better, Very scarce. 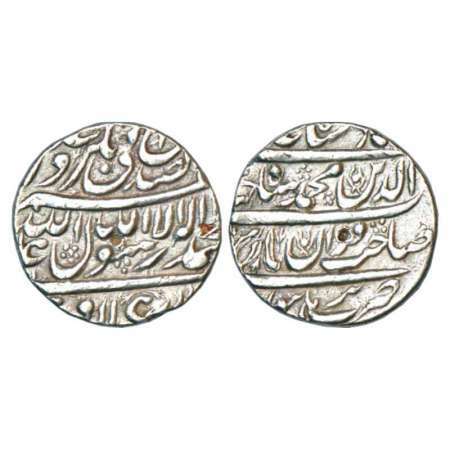 Shah Jahan (1628-1658 AD), silver rupee, Burhanpur mint, with the name of four caliphas above kalmia, KM 226.2. 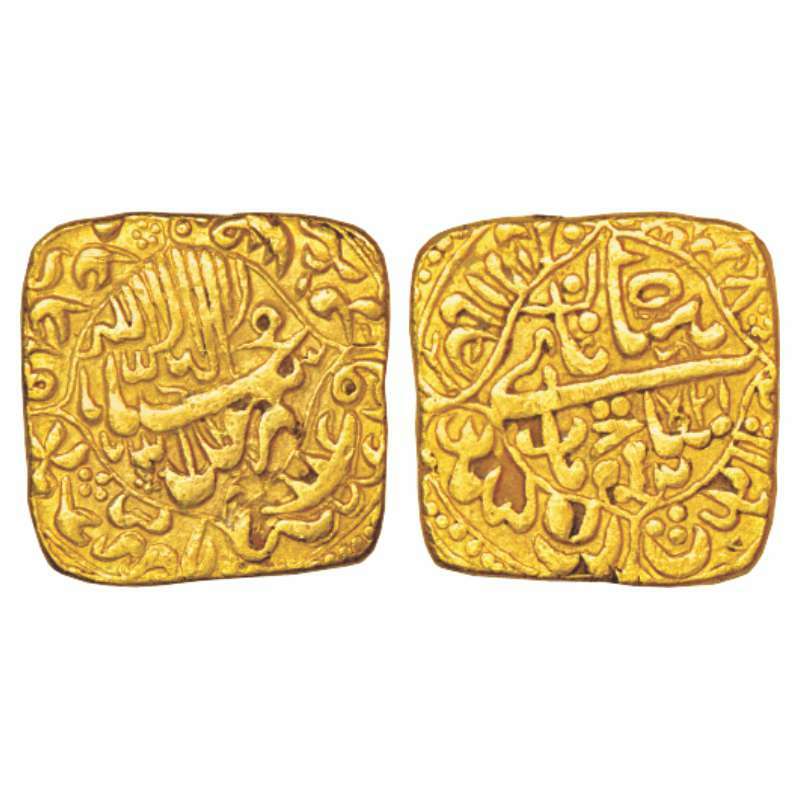 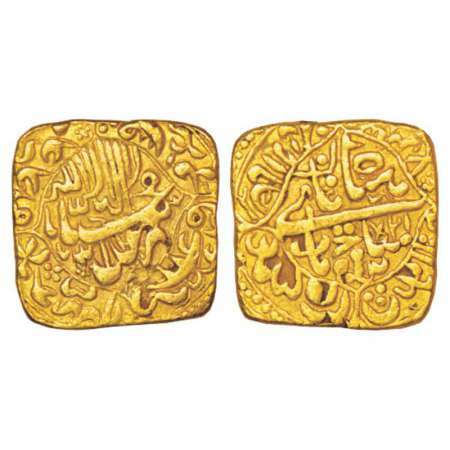 Gold token based on coin designs of a mohur of Shah Jahan (1628-1658 AD), Daulatabad mint, 10.80g. 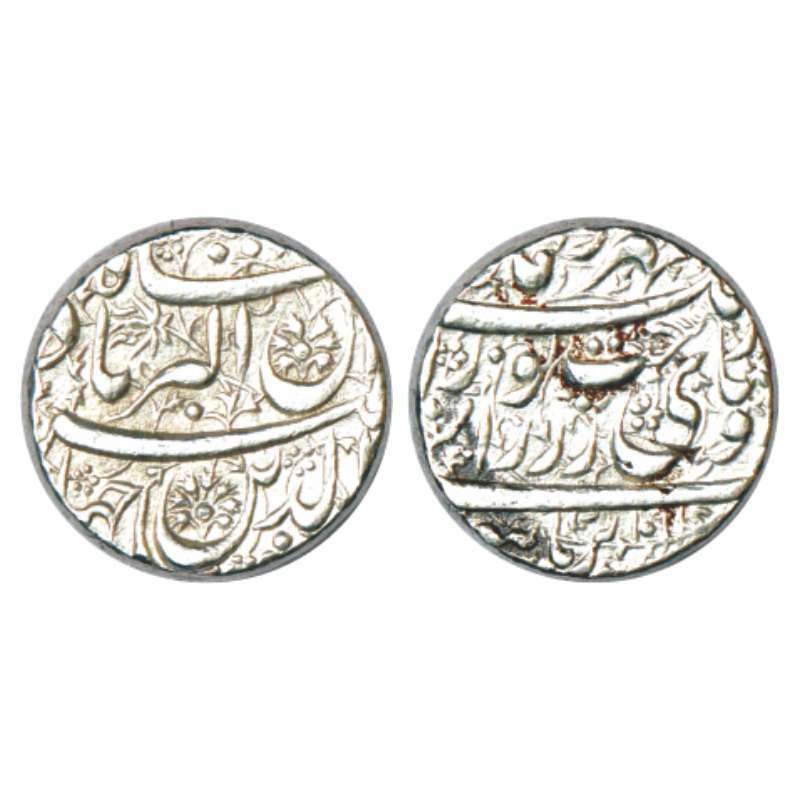 Shah Jahan (1628-1658 AD), silver rupee, Daulatabad mint in right quadrant, AH 1064, KM 235.10. 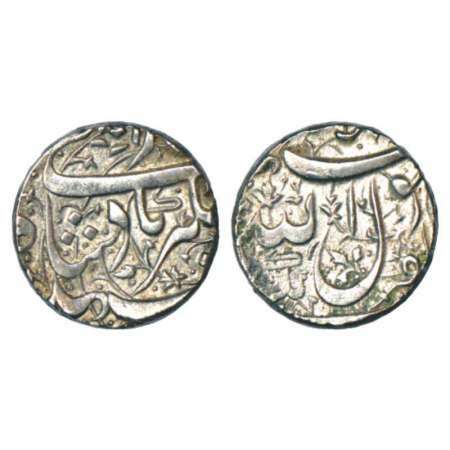 Shah Jahan (1628-1658 AD), silver rupee, Junagadh mint in left quadrant, KM 235.12.